Solid black, double sided scuff resistant finish. 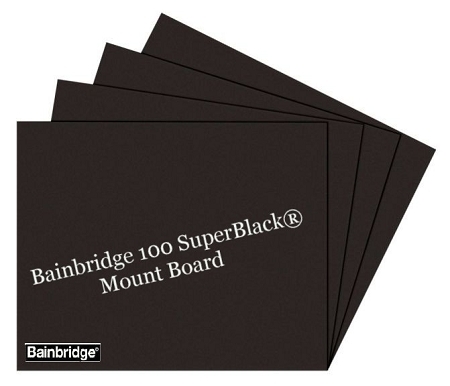 Board cuts cleanly and is ideal for mounting artwork and photographs. Great for presentations! Available in Single thick 15x20, 20x30, 32x40, and Double thick 20x30, 32x40. Sold in cartons only.